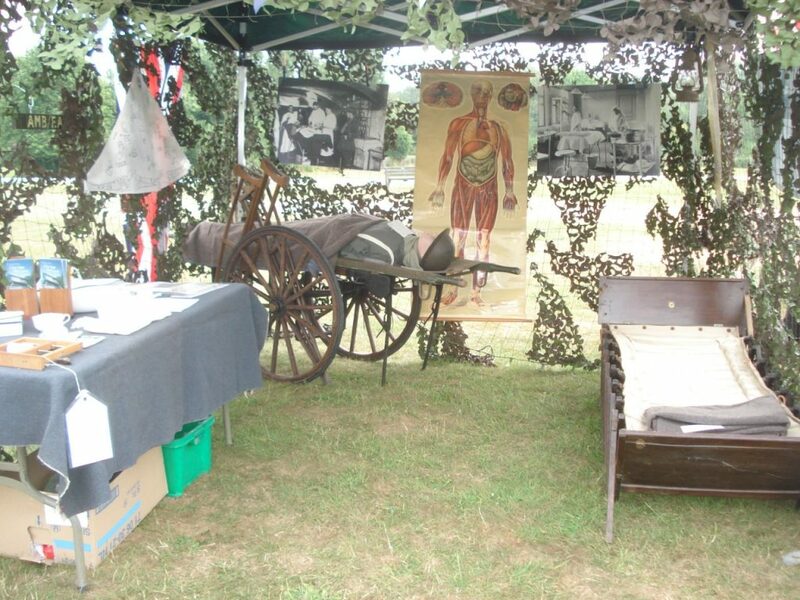 The AHS WW1 display at an educational event in Nottinghamshire. 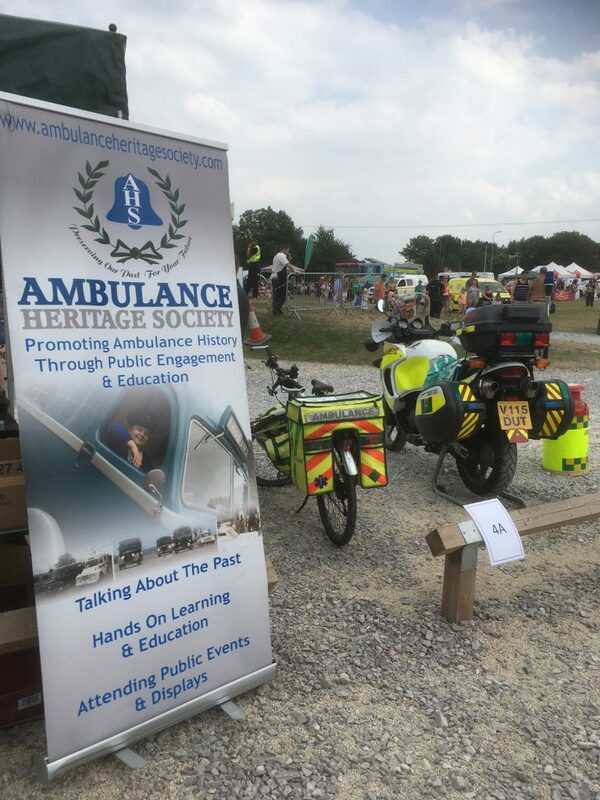 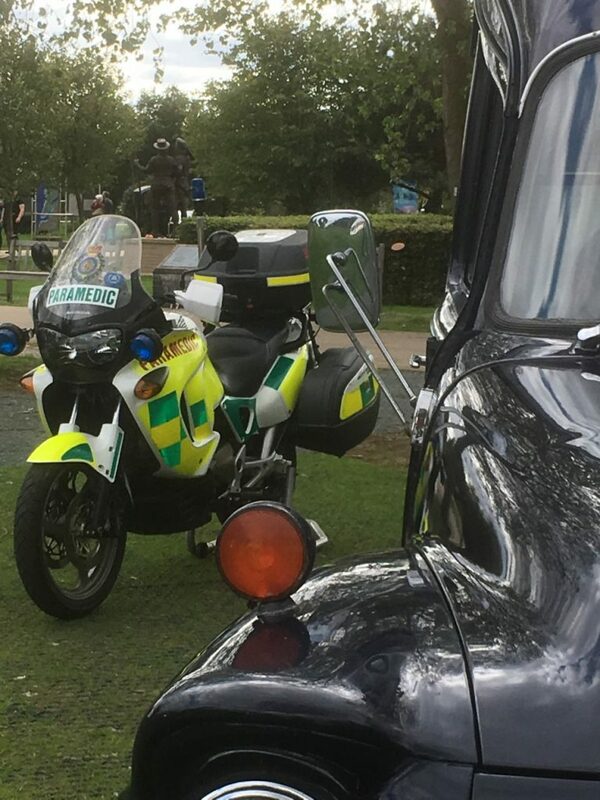 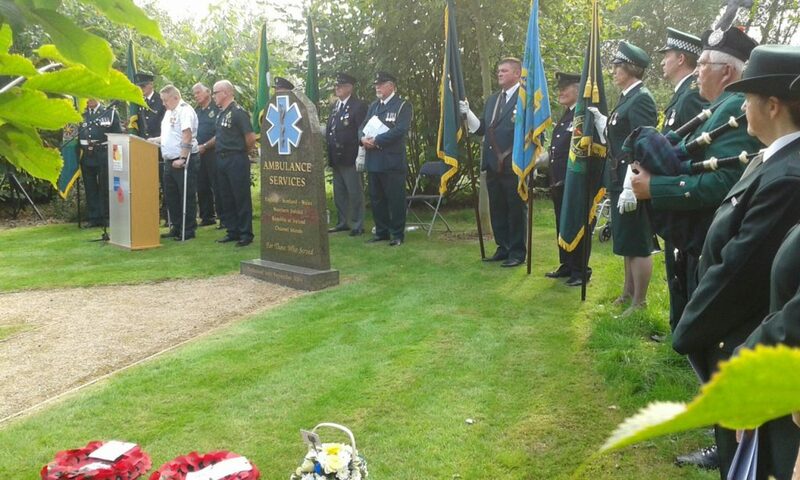 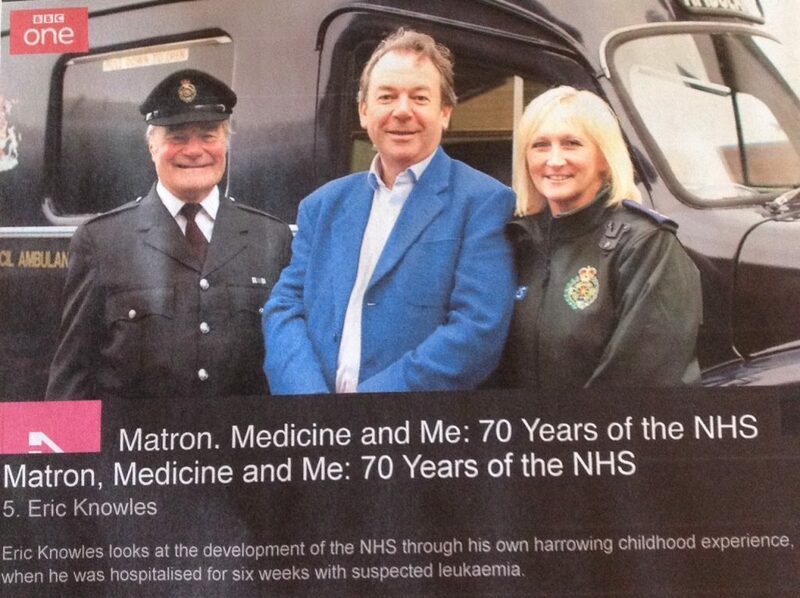 Ambulance Heritage attended the Ambulance Memorial Service at the National Memorial Arboretum Alrewas Staffordshire. 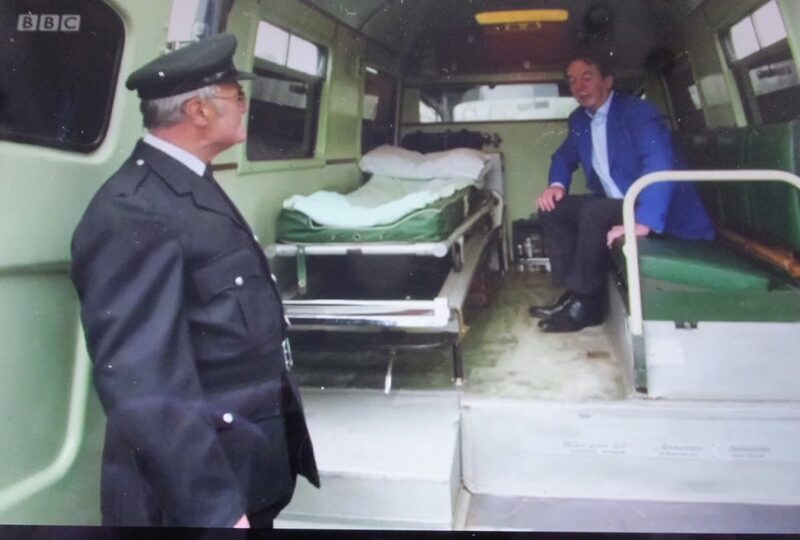 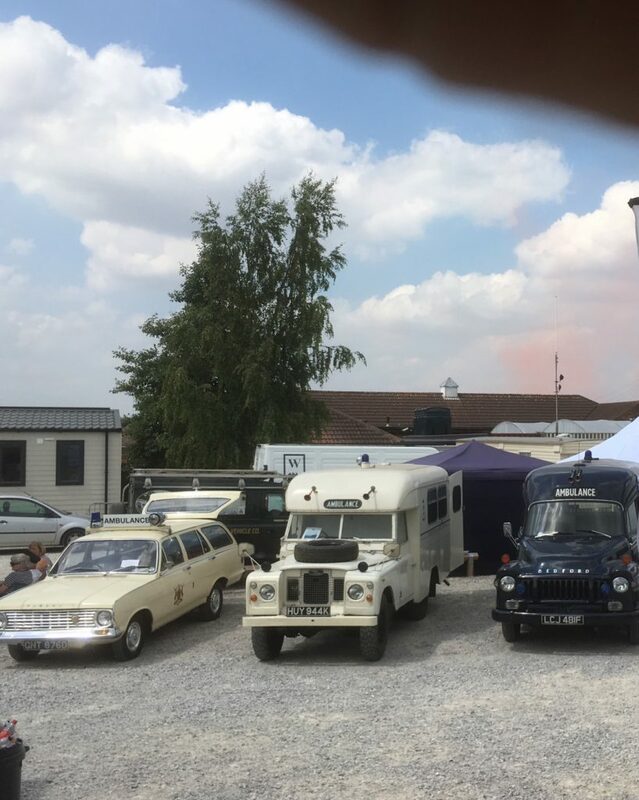 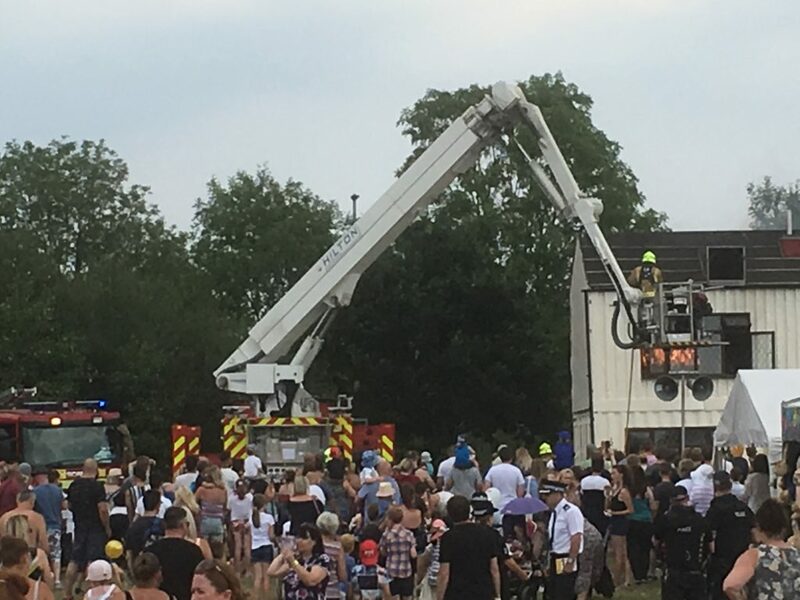 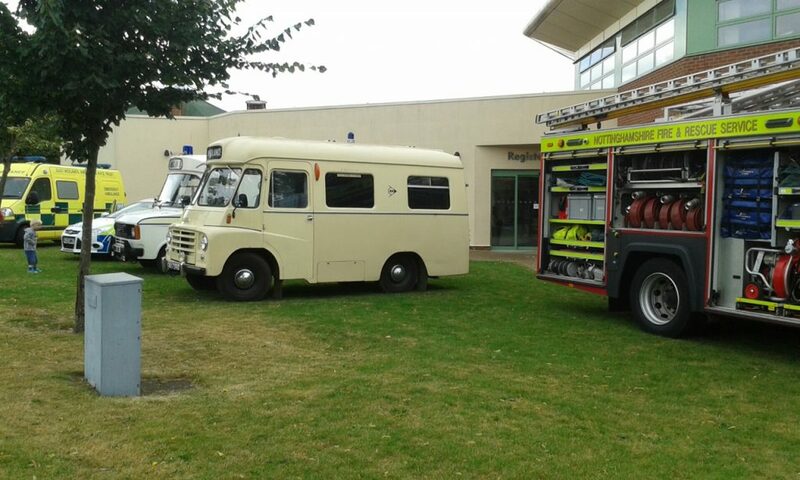 AHS visited the Crich Tramway Starlight Spectacular Super Heroes Day and Evening with the 1982 Hanlon Ford Transit. 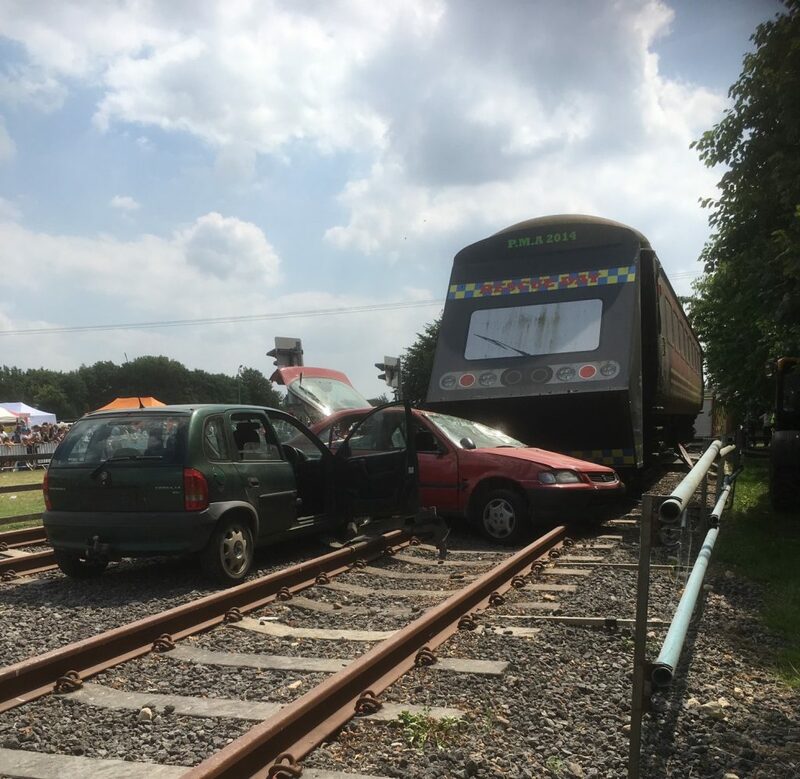 A spectacular sight with all the Trams illuminated. 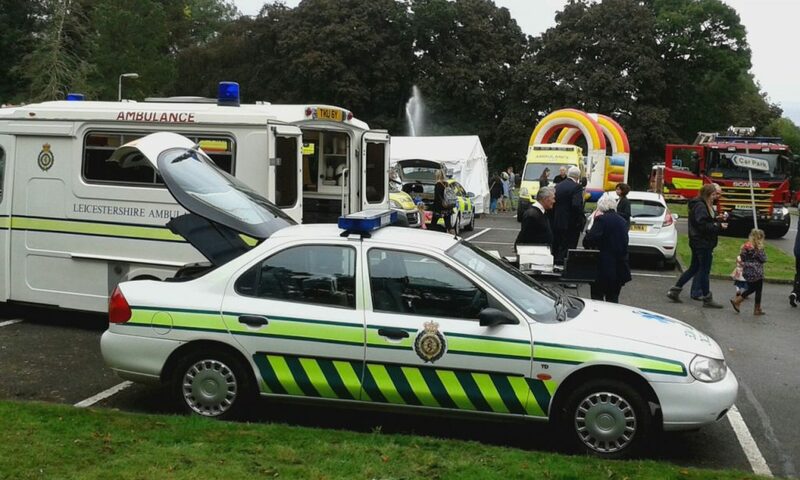 AHS attend EMAS awards and family day at Narborough Ambulance Station Leicester with the Ford Transit and Mondeo Paramedic Car both previously stationed At Leicester stations. 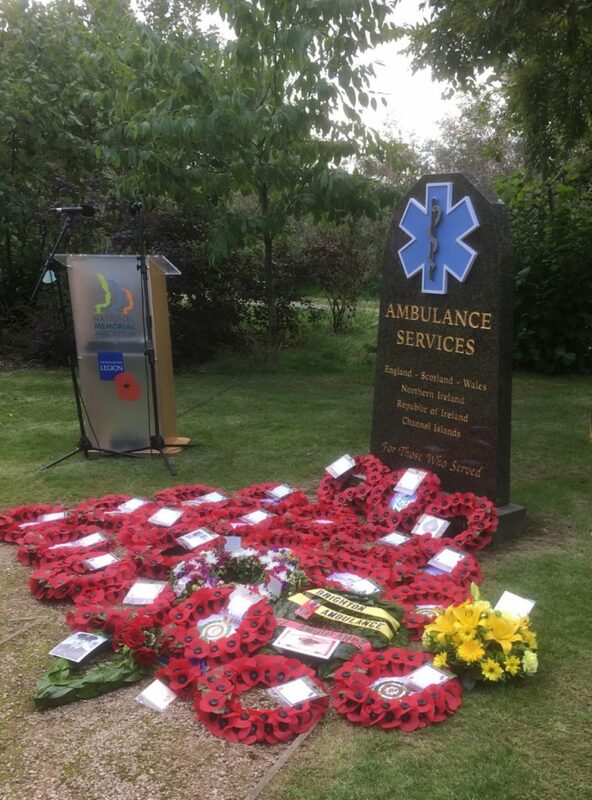 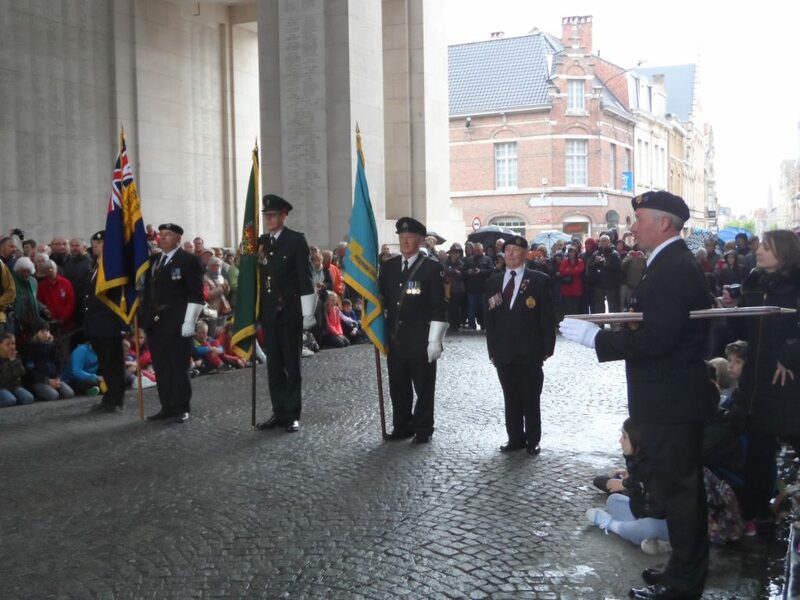 The AHS attend the parade of standards and laying of wreaths at the 6th National Ambulance Remembrance Service at The Chapel of Peace National Memorial Arboretum September 15th 2016. 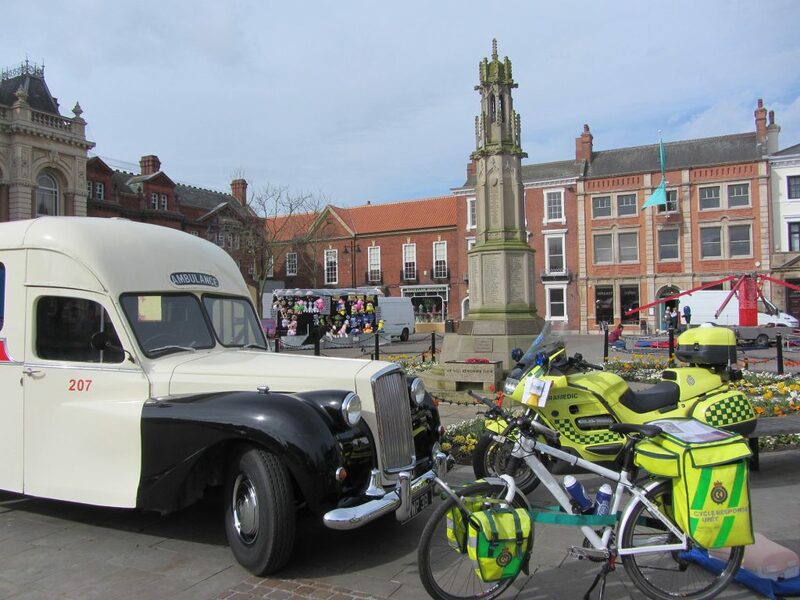 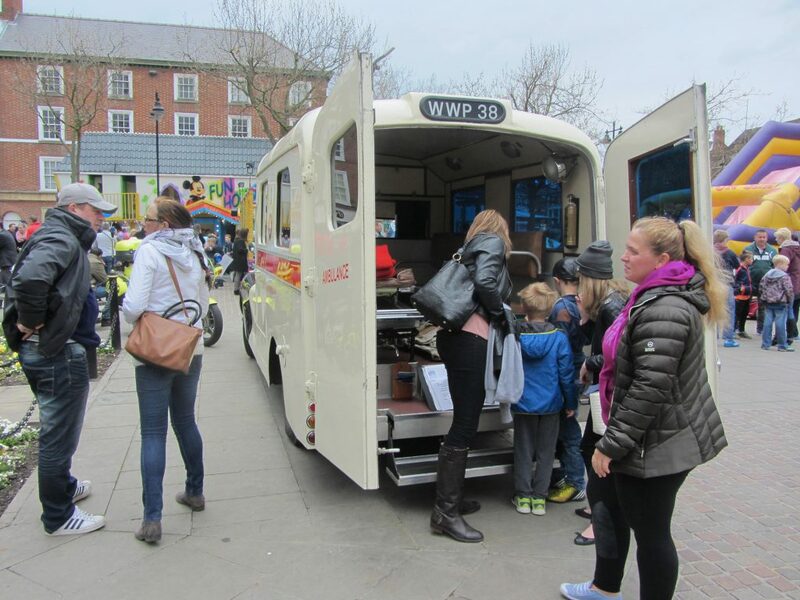 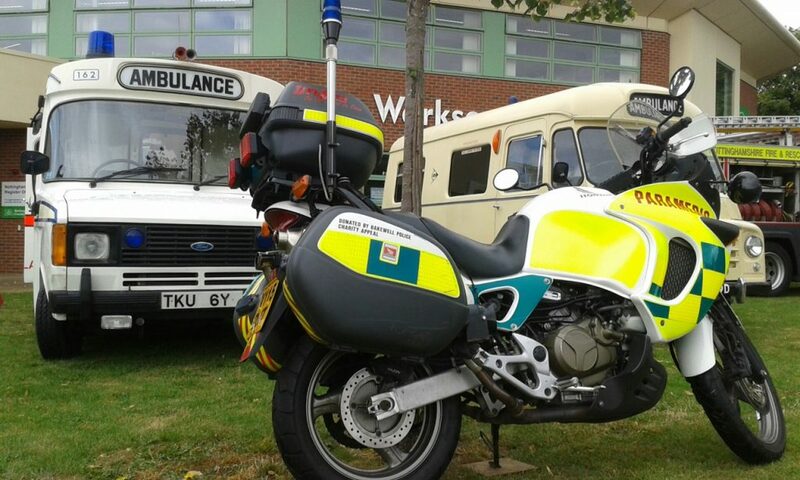 AHS attending a Public safety awareness day at Worksop Library with 2 vehicles, Paramedic pedal cycle and Motorbike. 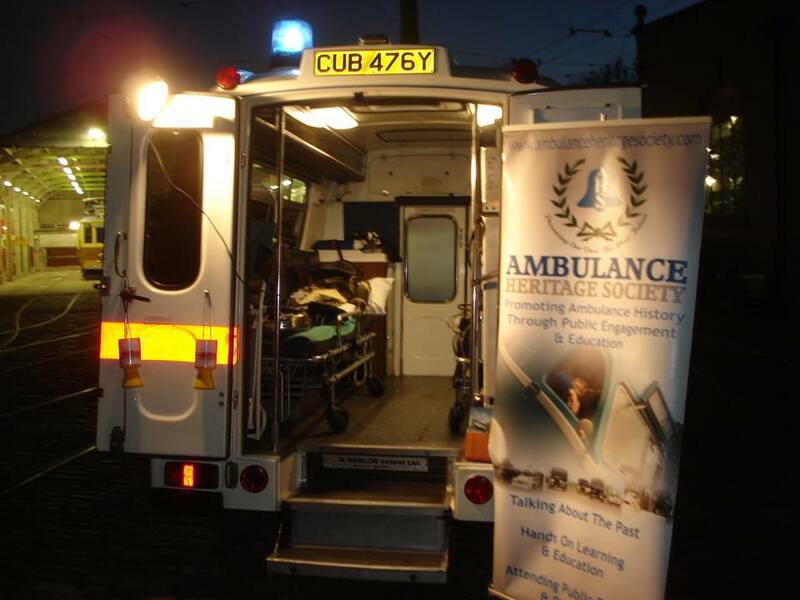 With information and advice inside and vehicles and equipment outside. 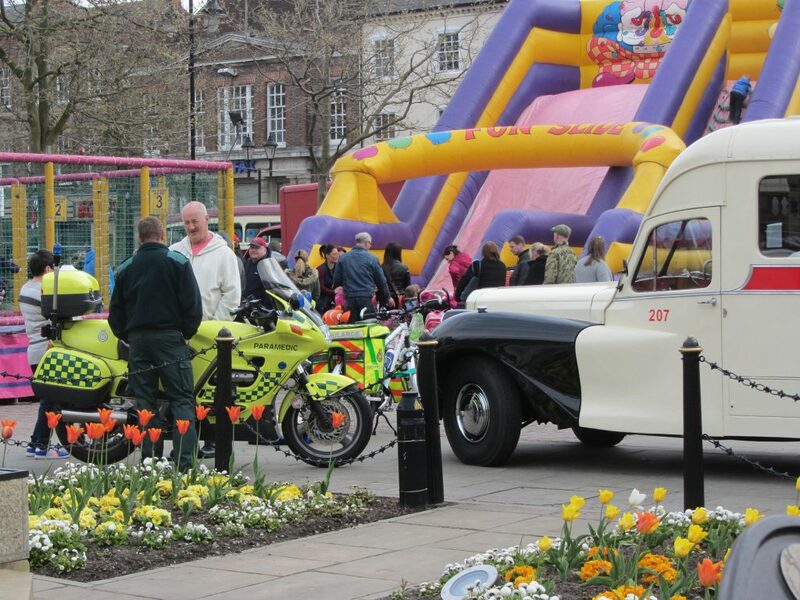 776 visitors recorded in the 3 hours and just under 600 at Mansfield the previous week.